So, just got back from Limbang or what I like to call it 'outstation'. Not that fancy huh..oh well.. So, the weather's been very kind to us lately. It keeps on raining at night. Which is a good thing cause it helps you to sleep well. Right? Well, it might be good to some people but its a bad sign for me. Due to the numbers of bad experiences I've encountered even since becoming an adjuster. One of which is landslides. First encounter was in Lapok, Miri Division. 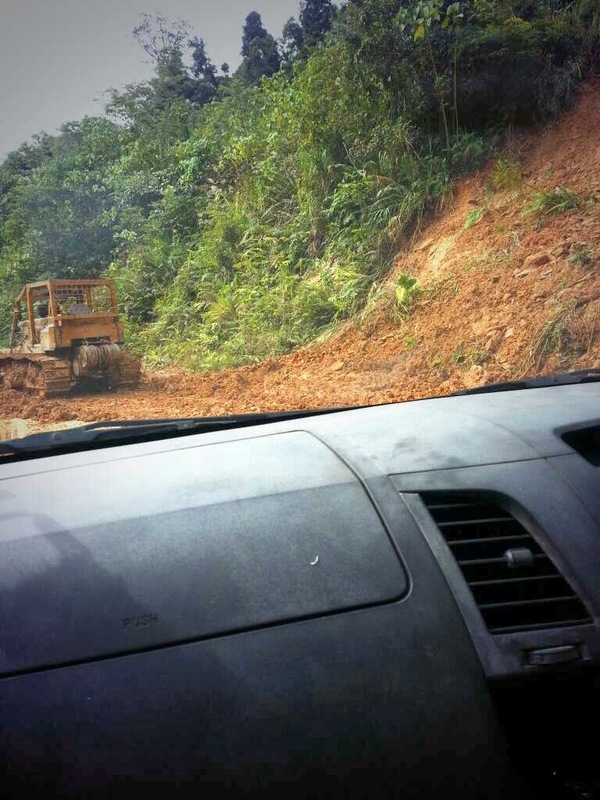 That was due to never ending road construction of Bakong-Ulu Teru. I think it was published in the newspapers sometimes in 2012. The second encounter is today in Limbang. Well, not exactly Limbang but it happen along the way heading to a timber camp site. Lucky for us, it happen before we reached that particular area. So, no one was harm. But it took them a while just to clear the road. It goes to show how God's power can do. I took it as a reminder that God is always watching our every single move. Its never too late to do good. First date. To pay or not to pay?